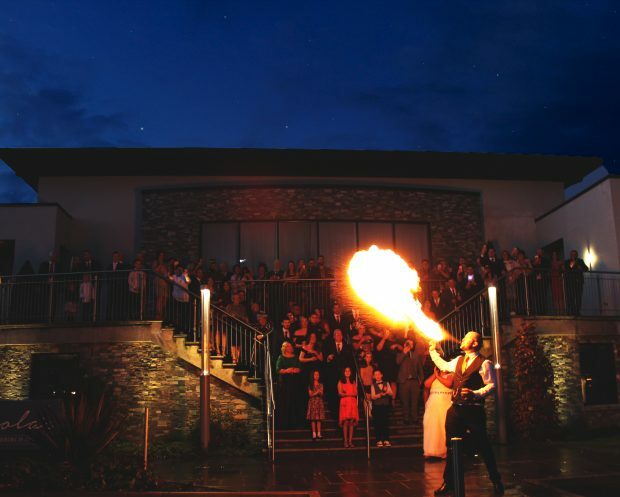 There aren’t many weddings which feature an impressive fire-breathing spectacle… Even less so, a display led by the groom! But bride Dayna Gaskin (née Brown) explained that both herself and husband, Stanley were both formerly circus skill performers, and they wanted a photograph with all their guests crowded around the burning display. And their wedding took place on October 31, 2018, afterall. While you could argue that breathing roaring fire honours the spirit of Halloween perfectly, it was just one of the many unique elements of their special day at the Silverbirch Hotel. 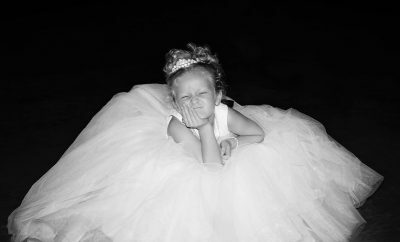 Another was Dayna’s wedding gown. 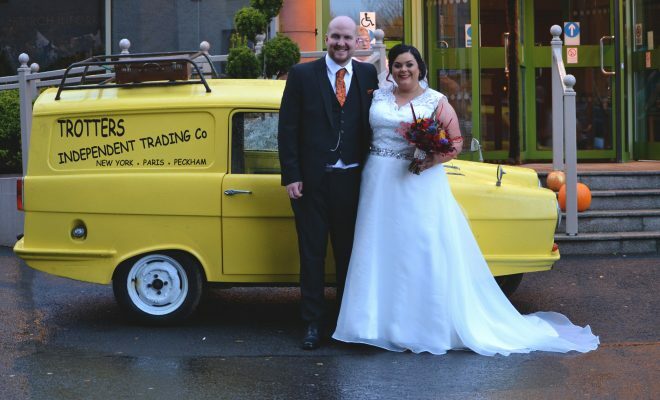 The Omagh woman didn’t try on a single dress, neither did she visit any bridal boutiques. 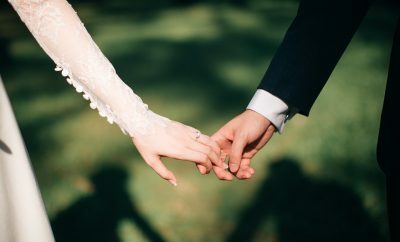 Instead, she found a fuss-free, elegant gown which she liked, and sent off her measurements to an online wedding dress company who tailormade the number. 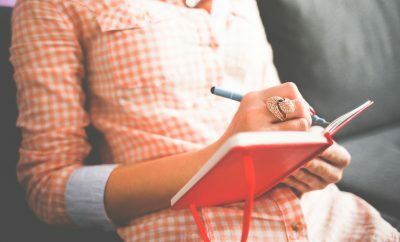 “I must be the only bride that didn’t want to go dress shopping, and for me, it wasn’t an important factor in my wedding planning,” she explained. And while Dayna and Stan were presented with rings to symbolise their future during the ceremony officiated by registrar Hazel, so was Daisy – the pair’s beloved little girl. Dayna, a universal banker with HSBC recalled how she first met Stan, a butcher from London during her time at Chester University. They were doing the same course at the university, Theatre Studies, and it was during a wintry night out at the Students Union in early December 2009 that they properly spoke. They began dating on March 18, 2010 and much to Dayna’s surprise, Stan got down on one knee on November 28, 2013 at her parent’s house. “I had no idea that Stan was going to propose,” Dayna smiled. 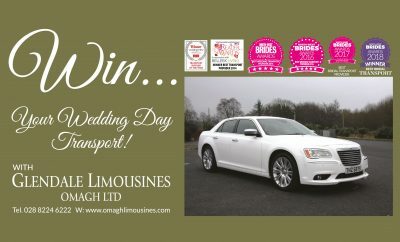 “I had flew home from Chester back to Omagh for my birthday. “Stan had told me that he couldn’t get the time off work to come with me, so I went on my own. Newlyweds Dayna and Stan celebrate their wedding day alongside their beloved two-year-old daughter, Daisy. “My whole family was going to see ‘Mum Says’ in the Strule Arts Centre, and when I got there, Stan was sitting with my Dad, Eddie. “I was so shocked to see him,” she added. 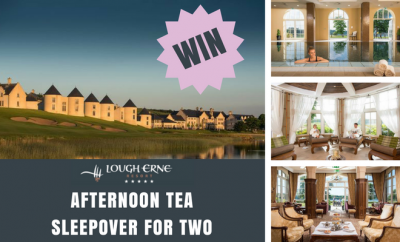 “We had a brilliant night out, and after drinks in Daly’s, we went back to my parent’s house. The pair began to plan the wedding very soon after their engagement, with the hopes of being wed in 2015. However, other plans soon paved their future. 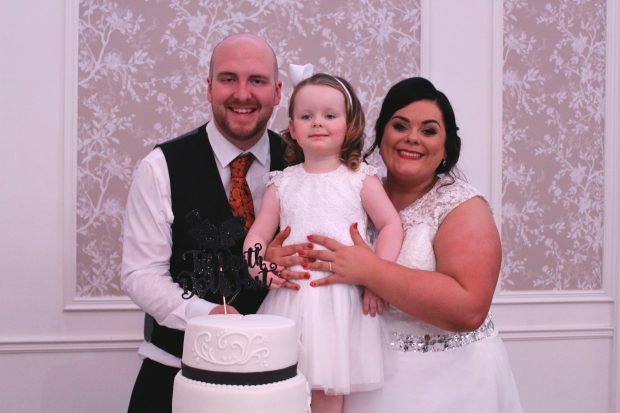 “In 2015, we had our beautiful daughter, Daisy so the wedding was put on hold,” Dayna said. “When we first started planning the wedding, I knew I didn’t want a typical white wedding, originally planning a rockabilly 1950s sort of theme. When Dayna’s big day finally arrived, she said she felt ‘calm’ and enjoyed getting her hair and make-up at local hairdressers, ‘The Salon’. “When we went to the Silverbirch Hotel to get ready, I only started to feel nervous and emotional when I put on my dress,” she continued. As Dayna walked down the aisle holding her dad’s hand she became emotional. “Our service was so personal,” she said fondly. 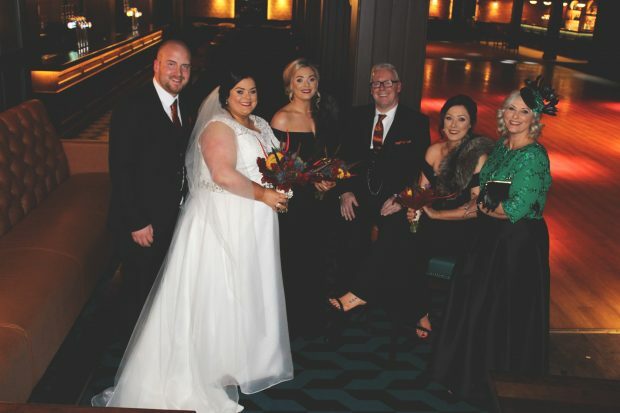 “As we had a registrar, we were able to tailor the ceremony to us. 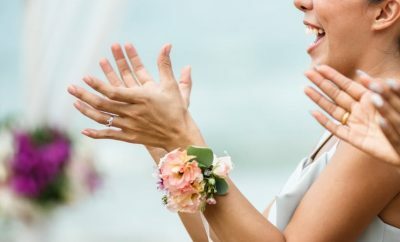 “The whole room laughed and cried with us.” And the celebrations didn’t end after the ceremony – in fact, that was just the start of a day filled with entertainment. 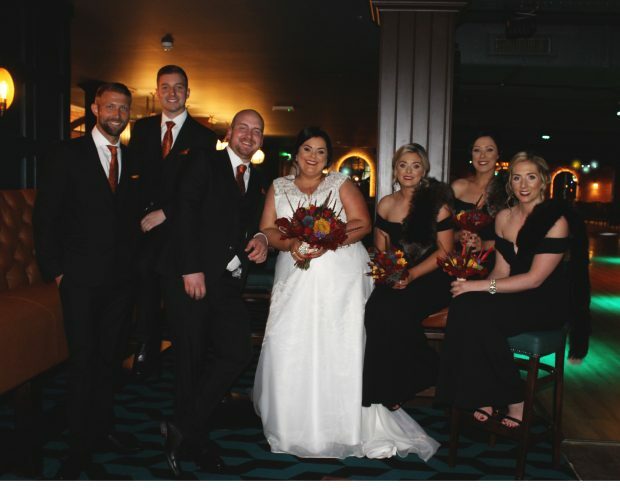 The newlyweds, Dayna and Stanley Gaskin, alongside maid of honour, Philippa Fielding, best man, Jedd Chandler, bridesmaids, Naidine Brown and Ami Gaskin and groomsman, Dave Gatens. 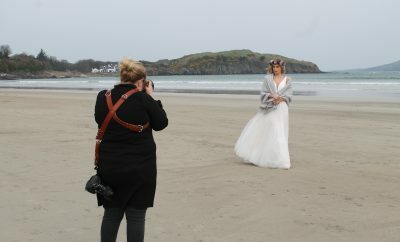 Hair stylist/salon: Naidine Brown (sister-of-bride) and Eimear Keys from The Salon. Bridal shoes: Red shoes from New Look. Veil: ‘Something borrowed’ from bride’s sister, Philippa. Cake decorations: Three tiers, featuring white icing and black ribbons. Transport: Trotters Independent Traders Van. First dance: ‘One Day Like This’ by Elbow. Other entertainment: Choreographed father-of-bride and daughter dance, which featured a mashup of songs including ‘Cha Cha Slide’, ‘Twist It’, ‘Gangnam Style’ and ‘Time Warp’. Honeymoon: Rome for four days after the wedding, and a future family holiday to Turkey is also booked to celebrate the wedding.